Manoeuvrable, user-friendly and easy to maintain. An efficient tool for cleaning small areas & cluttered surfaces. Brush head rotatable by ±200° for navigating around curves and corners. Battery operated for cordless operation. 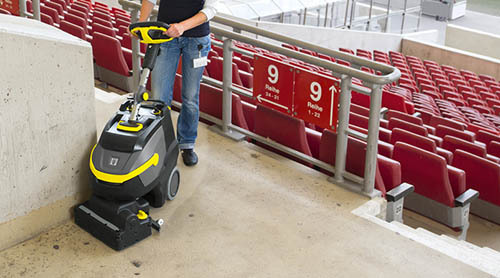 Manoeuvrable, user-friendly and easy-to-maintain, the BR 35/12 C scrubber dryer is a highly professional and efficient tool for cleaning small areas and cluttered surfaces. 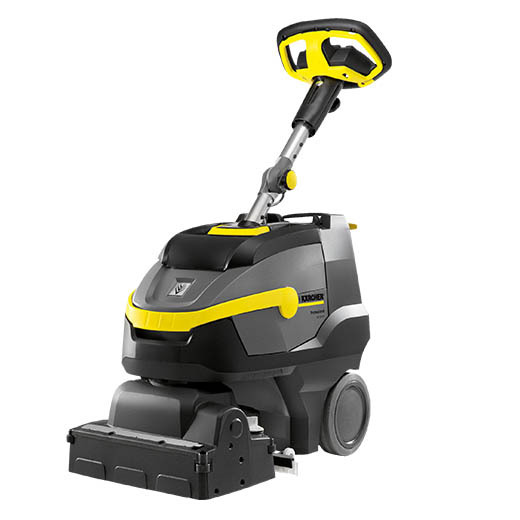 The machine is fitted with a rotatable roller brush head with KART technology (Kärcher Advanced Response Technology), making it perfect for tight corners. Can also clean in reverse if necessary (due to lack of space etc). The new lithium-ion battery has a prolonged running time, making it 3 times more durable than normal lead batteries. It is completely maintenance-free and quick to recharge. 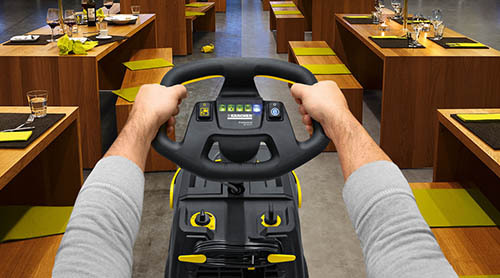 The machine's lightweight design helps you to negotiate steps and facilitates transportation. 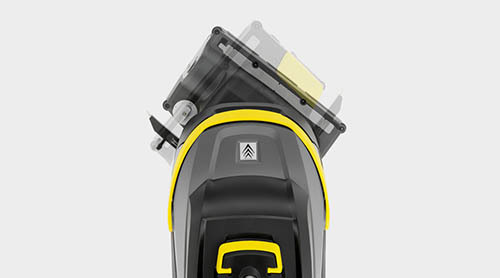 The eco!efficiency mode reduces energy consumption, increases the running time and lowers the volume by around 40%.